INN brings Rabbi and former MK Chanan Porat in a video filmed for Israeli TV at his home in Kfar Etzion, on his illness, ideology and faith. Few people can vie with the record of Rabbi and former MK Chanan Porat, the charismatic Yeshivat Merkaz HaRav Kook Torah scholar who became a national figure. Rav Porat is the beloved ideological icon of the Gush Emunim settlement movement, whose faith led a generation of young lovers of the Land of Israel to settle Judea and Samaria after the Six Day War. Rav Porat, also a popular lecturer, teacher, and prolific writer of Torah insights which appeared weekly in a flier called "M'at Mind Ha'or" (a bit of light, ed.) , and have since been published in book form, was diagnosed with a brain tumor several months ago, He recently gave a special interview to Yinon Magal of Israel’s Channel 1 Television and spoke of his illness, of his ideology, of the expulsion from Gush Katif, and even about death. Rabbi Porat, the driving force behind the return to Gush Etzion, whose Jewish communities had been overrun and massacred by the Jordanian Legion in 1948, following the 1967 Six Day War. 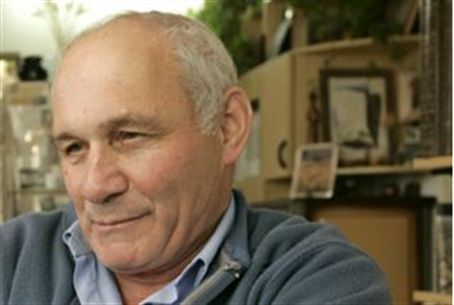 He was a leader in the Gush Emunim settlement organization in Judea and Samaria and came up with the idea to establish the organization after he fought in the Yom Kippur War of 1973. In reference to his illness, Magal asked Rabbi Porat if he is afraid of death, to which the rabbi responded that he has no fear whatsoever. When asked how he would like to be remembered, Rabbi Porat,, said that he would not want to be remembered as righteous, as holy, or even as a good man.